Hand lettering and calligraphy seems to be all the rage these days among art enthusiasts and aspiring artists like me, most especially among the network of people that I follow on Instagram. From a simple illustration of letters, coupled with the right placing of words as well as the right combination of different fonts, you can see these art forms everywhere—prints, campaign posters, book covers, web design, and even street art! Through these hand drawn letters, the letterer not only shares a beautiful work of art, but also effectively conveys the message through a visual presentation of the written word. 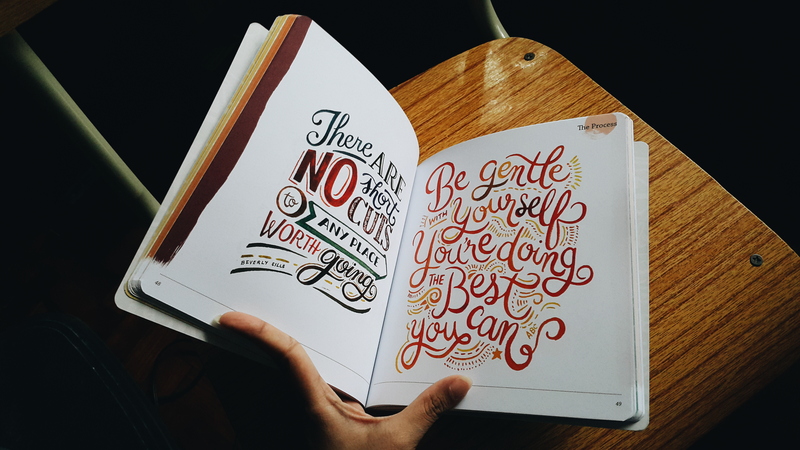 Among the people I’ve recently followed on Instagram is Abbey Sy, and she recently released the book The ABCs of Hand Lettering where she shared some of her knowledge in hand lettering. 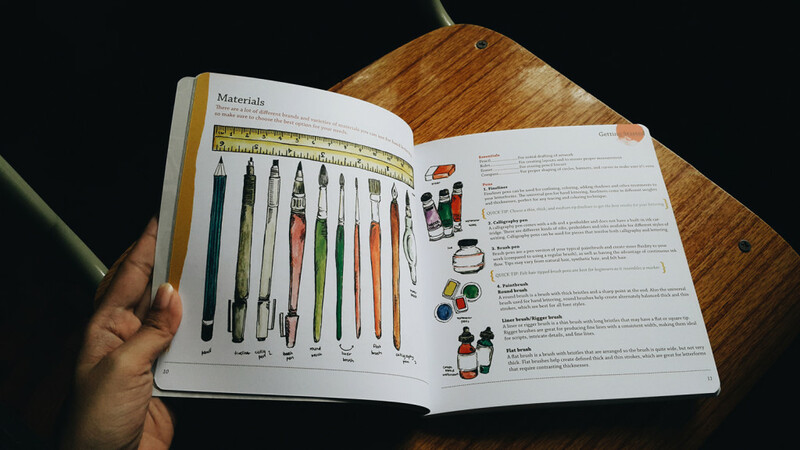 The book is divided into five chapters where the author discussed the basic terms that the reader should know, the materials that can be used to get started, the basic font styles that can be illustrated when hand lettering, some details about the process, as well as tips on how to get your work out there. The book also features various Filipino artists, their stories and inspiration, as well as their preferred weapons of mass creation. Some of Abbey Sy’s illustrations showcasing how to combine different font styles and laying out the words and other decorative details. If you’ve always been into doodling, like me, and would like to start a new hobby, then this book is for you! 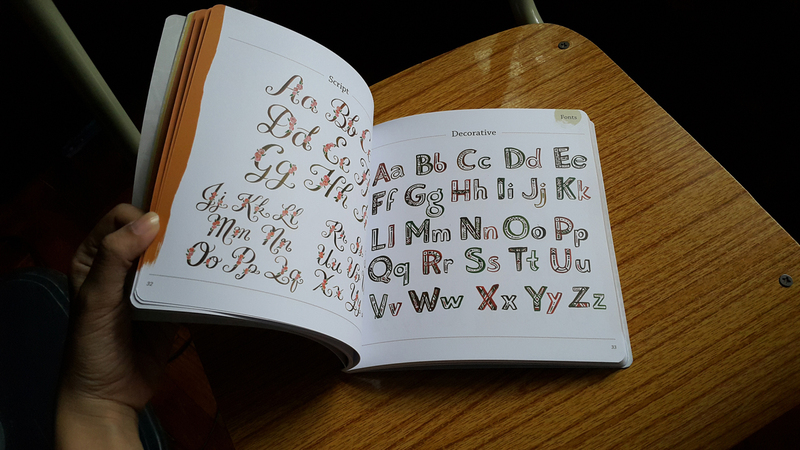 This book contains a variety of font styles that you can practice on and draw inspiration from to get you started. It’s not as detailed as giving you a step by step how-tos to get you started (if that’s what you’re expecting this book will have), but, if you’re really willing to learn and practice really hard, I’m sure this book will still be quite helpful. If you want a more comprehensive discussion of the process, you may also sign up for some of their Learn by ABC workshops. 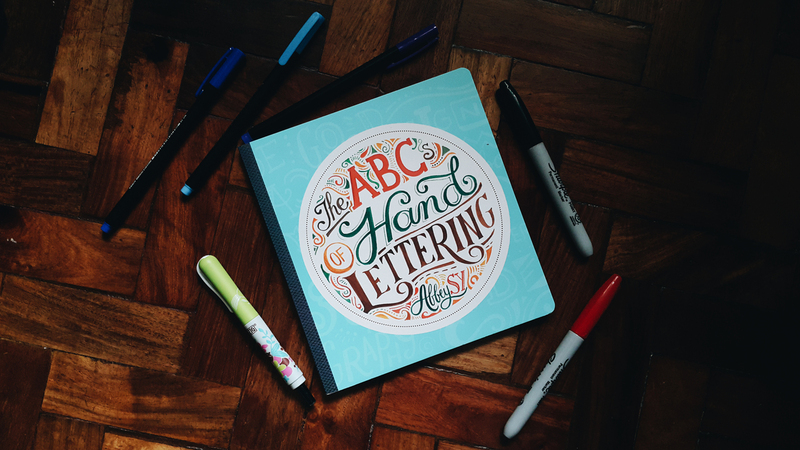 The ABCs of Hand Lettering is now available in bookstores and newsstands in the Philippines for only Php 295.00. Are you also into hand lettering? What other book have you tried reading as inspiration? This looks great. I’m going to follow her on Instagram! I was looking forward to this post. Thanks. ^^ Just like Aisling, one of the first things I did (thanks to you) was follow Abbey Sy on Instagram. I suppose that one of the next things is for me to maybe find this book. It’s actually my first time to do a “review” so I was pretty nervous about putting this up. I know it’s not much but I hope it was still informative. I don’t think her book’s available internationally yet since it was released by a local publisher. But there’s an eBook version via Buqo. You’d have to download the app, though. I’m just not sure if it’s only for Philippines although I think they accept payments through Paypal. There's this other book I’ve also been wanting to snag but last time I checked Fully Booked, they said they ran out of stock. Ohhh wow! I’m thinking of picking a copy for myself so I’m really glad I stumbled upon this review. 🙂 I wanted to know what to expect before deciding if it’s a worthy purchase as I’m not that big on calligraphy (but would like to learn a bit). And your page scans prove that it’s such a pretty book to own. I’ve been following her at Tumblr before she got super famous and she’s come a very long way!